We read somewhere that July is the month when most babies are born (apparently driven by school teacher mamas). So, it makes sense that July might be the most popular Birthday Month of the year. Last month we focused on interesting birthday party decorations. Boy, did we have fun putting that post together! A while back we wrote about Inspiring Ideas For Kid’s Birthdays. You should definitely check out the great ideas there. But now, we’ve been on the outlook for more fun activities. Here are some obvious and not-so-obvious ones that we have found. You don’t need to spend a fortune on a balloon artist when there are books and kits to help you with instructions and provide supplies. Older kids can entertain themselves, though for the younger set, an adult will have to do the work. To reduce frustration (and embarrassment) on the big day, we recommend you pick-up some extra balloons and practice beforehand! 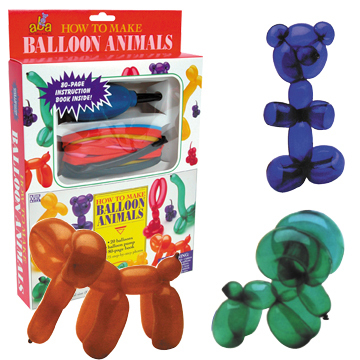 We’ve seen these two sets of Balloon Books & Kits in person but have not tried them out. You may want to forgo the “kit” and just buy a well-respected book and the supplies a la carte. Let the kids host their own little magic show. If that’s too much pressure, how about you and other family members break the birthday party group into smaller groups to teach them some tricks and then regather for a big magic show where willing participants take the stage and entertain the rest of the group? 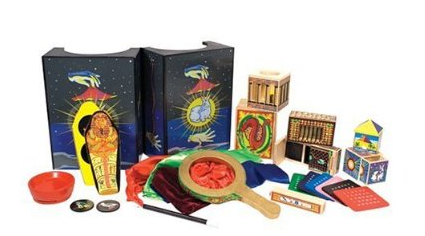 We found two magic kit sets that look to be well loved: Melissa & Doug Deluxe Magic Set and Deluxe 100 Trick Magic Suitcase w/ Instructional DVD. I always wanted a pinata as a kid. How about you? So, we searched our favorite source for all things handmade, Etsy, and not surprisingly, found a gorgeous selection of pinatas for sale. 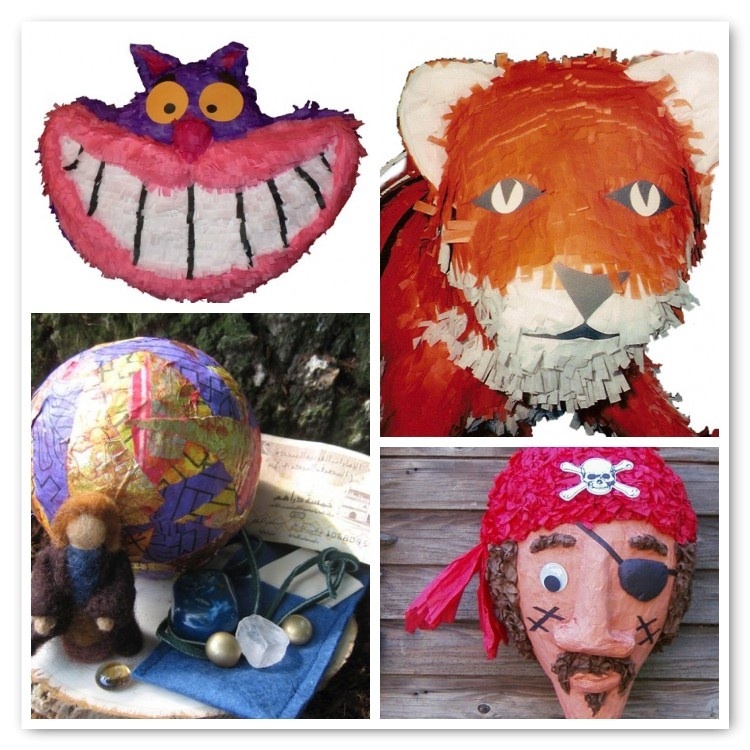 Better yet, these pinata artisans appreciate how birthday kids have their own “themes” in mind and will whip up a customized one for you, as long as you order with enough lead time, of course! The crafters, whose work is featured above include: Pinata Queen (maker of my fave, the tiger), Pinata Woman, BirchAngel, and Haddy2Dogs. 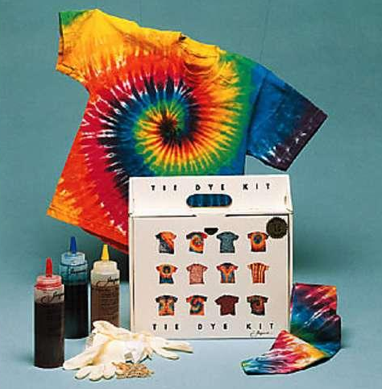 Our friends at Cool Mom Picks turned us on to this unbelievably cool Tie Dye Kit. Yeah, you could conjure up your own Tie-Dye brew and create some fun. Or, mom and dad, you can follow the DVD instructions and really wow the kids by teaching them to make spectacular tie-dye creations! The kit is a perfect party size. You supply the shirts and everything else you need is here to dye up to 15 adult-sized t-shirts. 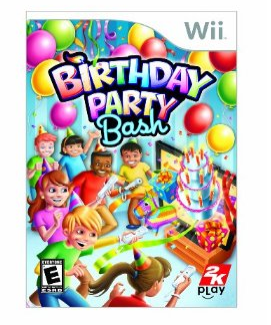 And now for something totally out-of-the-box, is the soon-to-be launched Birthday Party Bash (games) for the Wii (available starting July 14). We were ready to hate this, but we discovered we really liked this game when we got to test it out. Of course, it doesn’t replace the fun of an in-person game of musical chairs, but there are lots of entertaining virtual versions of classic party games that a big group of young ones can play together. And that is ultimately the goal for any birthday party we would think. So, if your outdoor birthday party plans look shot because of rain or your kids really want a “Wii Birthday Party,” we would recommend this as a wholesome and safe option. As always, dear readers, we would love to hear from you! Your comments and suggestions always inspire us. July being a popular birthday month is not surprising. Lots of parties.